Only adding a property to your Jomres website is not enough. You will need to also provide the users with the choice of which room to get and how many people can stay in a room. To set up that you will have to first create a room corresponding to what your property offers. To find out how to do that visit our Resource type tutorial. Once you have created a room you wish to add, you can do so from the front-end of the website. In this example we will navigate to the property we wish to have 2 bedrooms with maximum of 3 people per room and we will go to Settings>Tariffs & Rooms. We will need to configure the resource type for 2 available rooms and 3 persons per room and hit the Save button. 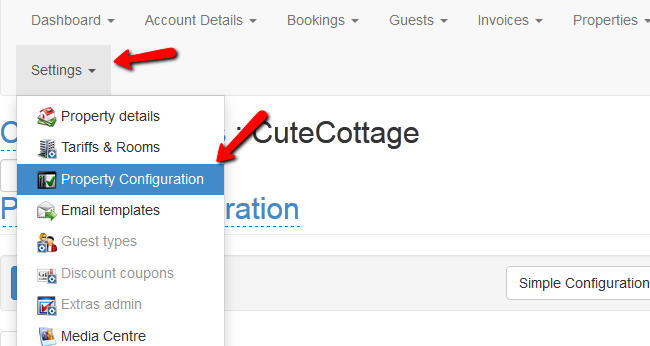 You now know how to Add and configure rooms. You can use that knowledge to provide the best possible experience for your future clients.